Peggy was born in 1935 in New York City. Her mother, Ruth Crawford, was a composer and piano teacher; her father, Charles Seeger, was an ethnomusicologist and music administrator. Peggy's formal music education was interwoven with the family's interest in folk music. She began to play the piano at seven years old. By the age of eleven she was transcribing music and becoming conversant with counterpoint and harmony. Between the ages of 12 and 35 she learned to play guitar, five-string banjo, autoharp, Appalachian dulcimer and English concertina. She tried the fiddle - and failed. She attended Radcliffe College in Cambridge, Massachusetts, where she majored in music and began singing folksongs professionally. She went to Holland in 1955 (where she studied Russian in the language of Dutch!) and then took off on a spontaneous world tour that included Russia, China, Poland, most of NorthernEurope. In 1959 she became a British subject and settled in London with Ewan MacColl, the British dramatist-singer-songmaker, by whom she had three children (Neill, Calum and Kitty). It is for Peggy that MacColl wrote the classic First Time Ever I Saw Your Face. The MacColl-Seeger work was seminal - its high point was the development of the revolutionary Radio Ballad form, a tapestry of field recordings of speech and sound effects melded with new songs in the folk idiom and complementary instrumental accompaniments. One of these Radio Ballads, SINGING THE FISHING, took the 1960 Italia Prize in the radio documentary section. These extraordinary radio programs have now been reissued in an 8-CD set by Topic Records. Seeger and MacColl initiated innovative work in the British folksong revival, incorporating folk techniques in film music and songwriting and emphasizing the connections between traditional artistic forms and political content. For seven years they ran the controversial London Critics Group and produced a yearly political theatre show The Festival of Fools. They formed their own record company (Blackthorne Records). Peggy started and edited a magazine of new songs (The New City Songster 1965-1985). They gave concerts and workshops throughout Europe and the New World, occasionally with Neill and Calum, both excellent musicians in their own right. Peggy has made 23 solo discs and has taken part in more than 100 recordings with other performers. She is considered to be among North America's finest female folksingers and took a leading role in the British folk music revival, not only as a singer and instrumentalist but also as a theorist and songwriter although and excellent performer of traditional Anglo-American songs, she is also known for her songs on nuclear, ecological and feminist issues. Women in their struggle for equal rights use her most famous song, Gonna Be an Engineer. Her Ballad of Springhill is rapidly becoming a folksong. She has collaborated on books of folksongs with Edith Fowke, Alan Lomax and Ewan MacColl. In 1983, she began working on and off with Irene Pyper-Scott, an Irish traditional singer with whom, after Ewan MacColl’s death in 1989, she formed the duo NO SPRING CHICKENS. They toured for four years until Irene’s work as a veterinary administrator necessitated a temporary cessation in 1994. Their company, Golden Egg Productions, issued their only CD, Almost Commercially Viable, an unusual album of political and love songs. BBC Radio 2 interviewed Peggy with a view to making a short series about her life. These sessions resulted in a five-part series of radio programs that won the Sony Silver Award in 1995. A sixth part was recorded in 1996 and a seventh in 1997. In September 1994, Peggy moved to Asheville, North Carolina, where she lived until she moved to Boston in 2006 to take up a teaching position at Northeastern University. She moved to Oxford, England in 2010. She spends a good portion of her year singing and lecturing throughout the UK, with one yearly tour of the USA and occasional tours of Australia. She has put out a book of her own songs - Peggy Seeger Songbook (Oak Publications, 1998) and a companion book of the songs of Ewan MacColl (The Essential Ewan MacColl Songbook, Oak Publications, 2001). Her 1997 CD An Odd Collection (Rounder 4031) is a stunning collection of songs written solo and with Irene. In 1998 she produced Period Pieces: Women's Songs for Men and Women (Tradition 1078), a compilation album of songs dealing expertly and compassionately with most of the major issues on the feminist docket. In 2000, she produced an excellent album of old and new romantic love songs, Love Will Linger On. In 2001, Almost Commercially Viable issued in the United States by Sliced Bread (SB71204). In 2003, Heading for Home (issued in the USA by Appleseed, APR CD1076; and in England by Fellside Recordings, FECD 181). Consisting of 12 North American folksongs and one song (the title) of her own composition, this is Peggy’s first recording of traditional songs in over 25 years. This album is the first of three comprising the Home Trilogy. The second volume, Love Call Me Home (Appleseed APRCD 1087) appeared in late 2004. The third and final volume, Bring Me Home (APRCD 1106), appeared in 2008. Appleseed also brought out Three Score and Ten (Appleseed APR 1100), a 2-CD distillation of recordings from her 70th birthday, held on May 29 2005 in the Queen Elizabeth Hall in London. It features Billy Bragg, Martin and Eliza Carthy, Calum and Neill MacColl, Mike and Pete Seeger, Norma Waterson and others. Appleseed has since issued Fly Down, Little Bird (Peggy and Mike Seeger singing songs from their childhood) and Peggy Seeger Live (2012), Peggy’s first solo live album. A new venture in Peggy's recording life is her TIMELY series of home-produced CDs, the first of which Songs for October 2004 contains six contemporary songs. The second, The Ballad of Jimmy Massey, appearing in 2005, consists of one song only, the title song. It was made from the words of Jimmy Massey, who resigned in protest from the Marine Corps after four months in Iraq.. Timely #3 (Enough is Enough) appeared in 2006. TIMELY #4, Crazy Quilt, appeared in January 2008. In 2011 she was awarded an honorary Doctor of Arts degree by Salford University, UK. 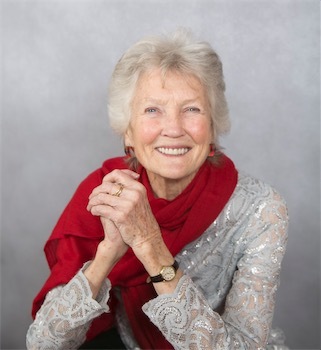 The one and only full-length authorized biography, ‘Peggy Seeger: A Life of Love, Music and Politics’ by Jean R. Freedman was published in 2017 (University of Illinois Press), and Peggy’s own memoir, ‘First Time Ever’ will be published in October 2017 (Faber & Faber). company yet to be decided. Her next album , Everything Changes (Signet Music), in which she sings with a band, is a signal departure from her usual style. Her website, www.peggyseeger.com, contains further information, a discography, details about ordering, an itinerary and interesting insights into her creative life. 1970, Ewan MacColl and Peggy Seeger received jointly an award for the most ambitious and successful recording project of the year for the Argo ten-volume ballad series, The Long Harvest. 1995, Peggy received the Sony Silver Radio Award in the Specialist Music Section for a series done by herself and Jim Lloyd for Folk on 2, a five-part series dealing with Peggy’s life. (Sony UK Ltd. sponsors the radio awards.) She has since added two more parts to that series. 2014, first winner of Women in Music Inspirational Artist award from "Music Week"